There are two reasons that a person will receive methadone treatment. 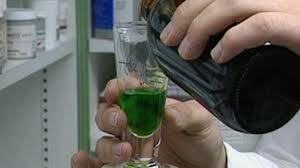 Methadone is an synthetic opiate pain reliever that is prescribed to control pain. Sometimes, an injury or an illness is chronic and will require long term pain management control. Methadone treatment is an effective tool in controlling chronic pain and allowing the patient to live a higher quality of life. It was also discovered in the 1970’s to be very helpful at controlling the painful withdrawal symptoms in patients who had become addicted to opiates and were detoxing from the drugs. Opiates work by controlling pain and pleasure sensors in the brain. The medicine imitates chemicals that are naturally found in the brain to help control mood so that the patient starts feeling better. The euphoric effects can be addictive. Once the brain the gets accustomed to opiates being in the system, it no longer recognizes the natural chemicals the body produces to make itself feel good anymore and will require more and more of the drug to achieve the same euphoric effect. If it doesn’t receive the opiates the body reacts to the lack of these chemicals and the person will get very sick and suffer from withdrawal symptoms. Methadone Maintenance Treatment will control the dangerous withdrawal symptoms almost completely which can take the fear out of getting help from an addiction to opiate drugs like Percocet, Oxycet, Oxycodone, Vicodin and even heroin. Doesn’t Methadone Just Trade One Addiction for Another? Methadone is a helpful treatment for those working to overcome opiate addiction. Methadone does not replace an addiction to other opiates, it is merely a tool to aid in the recovery of opiate addiction. The withdrawal symptoms associated with detox of opiates can be so distressing that it can cripple someone with even the best intentions of stopping. It can cause extreme cramping and abdominal discomfort, muscle aches and fatigue, excruciating back and neck pain, severe nausea and vomiting and diarrhea. They will experience intense cravings to use opiates again because they know the pain would disappear if they used opiates again. Methadone Maintenance Treatment increases chances of successful recovery of opiate addiction by relieving the withdrawal symptoms. It cannot be abused because it must be given daily at a methadone treatment facility. The dose is controlled and monitored regularly and can be decreased or increased as needed. This not only reduces the risk of overdose but it also stops shared needle use which lowers the risk of transmitted diseases like HIV/Aids and hepatitis. How Long Does Methadone Maintenance Treatment Last? There is no set amount of time for Methadone Maintenance Treatment because everyone responds differently in recovery. Once you’ve reached a point in your recovery that your doctor feels you can safely stop taking methadone, the dose can be decreased a little at a time to slowly wean you from the drug. There are some however who feel that they will not do well in recovery without methadone maintenance and may need to continue taking it for the rest of their lives.